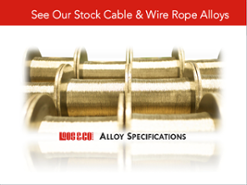 With the announcement of steel tariffs earlier this year, Loos & Co., Inc. made the decision to absorb the increased costs to honor any outstanding pricing agreements to the extent that we could. 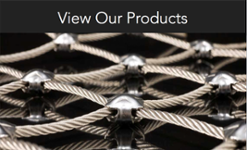 We have now reached the point at which we can no longer absorb additional costs associated with raw material purchases and continue to produce quality products and meet the performance commitments we have made to you, your products, and your customers. Therefore, we now need you to share in these increased raw material costs that we all face in the production of our products. Effective immediately, we will be including a steel tariff surcharge at shipment on all affected items. The surcharge will be calculated from the added charges we have paid after negotiations with our vendors. This will be represented by an additional line item on your invoice. Actual charges will vary month to month, and will be quoted to you and provided with your acknowledgement at the time of order. For existing orders shipping after June 22, 2018 we will provide you with an updated acknowledgement including the surcharge. 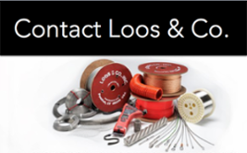 While we understand that the imposition of tariffs on global steel providers places a burden on all of us, Loos & Co., Inc. will not be changing our philosophy on sourcing. We intend to continue to purchase the highest quality steel mill products from the global marketplace to ensure that our product performs in accordance with the many customer, industry, market, and military specifications to which we manufacture. That is a commitment to all our customer that we will continue to honor. Thank you for your business and we look forward to continuing our mutually beneficial relationship. If I can be of service please feel free to contact me directly.